Please note this listing is for a PDF pattern, NOT a finished product! You will receive two PDF documents. 24 pages each. The graph for this pattern has been provided for FREE at my blog: http://www.LivingTheCraftLife.com. This PDF file contains the graphs and written out instructions to help you complete the project with little difficulty. All of my patterns are free to use for commercial use, given I am credited as the designer. ***NOTE*** Some users have found that they cannot access the digital download links from some mobile devices. If this is the case for you, please visit ETSY from a desktop or Laptop computer to download. In order to open the file, you need Adobe Reader, which can be downloaded for free at www.adobe.com. Pattern was well written and easy to understand! I wanted something special for my soon to be grandson and my daughter didn't want the "standard" baby blanket. She found this pattern but only wanted 4 colors instead of 5 so I had to tweak the pattern a bit. 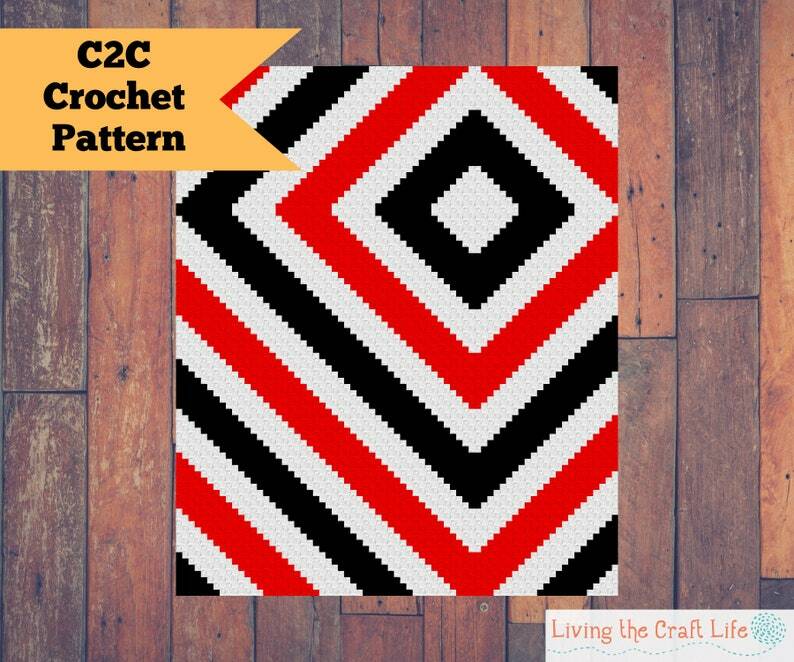 This was my first c2c project and I had no idea what I was getting myself into. It was time consuming but most of that was due to me not knowing how to c2c or decrease and rewriting some of the pattern. Once I got going it was a very easy pattern to follow. The finished blanket was well worth all the hard work. It looks so amazing in person! It’s easy, but haven’t start on it.